What’s Special on Dolok Tolong Hill? 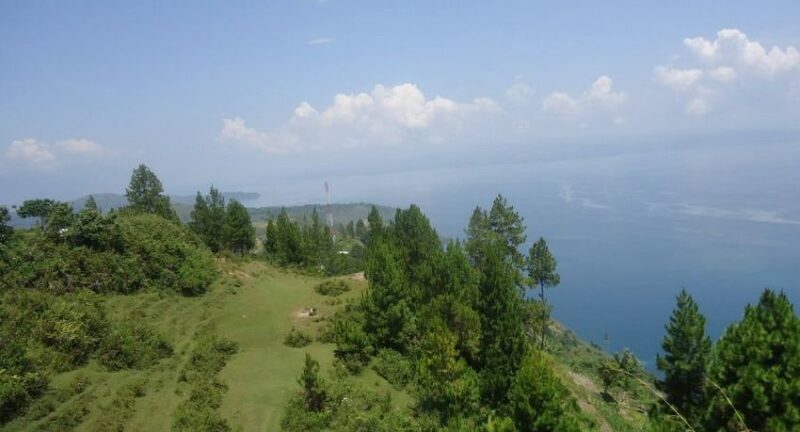 Dolok Tolong hill is the highest hill in Toba Samosir, with a height reaching 1,200 meters (3,937 ft) above sea level, and a historical site on Lake Toba. 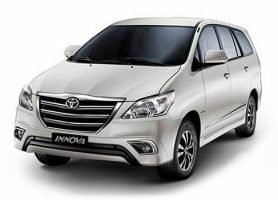 It is about 20 minutes from Silangit International Airport. To see it on the map, click here. The hill was a fortress of Batak Kingdom during the wars against Padri (West Sumatra) (~1800) and the Netherlands (~1900). The kingdom suffered in both wars, and the hill has since become an essential part of Batak’s history. The good news is the place has a miracle. It has a spring despite being the highest hill in the area. According to legend, it was the work of King Sisingamangaraja XII. He jabbed a spear into the ground as he and his army desperately needed water. The spring is said to have violated the laws of physics that water flows from higher ground to lower ground because at Dolok Tolong hill it flows in the opposite direction. 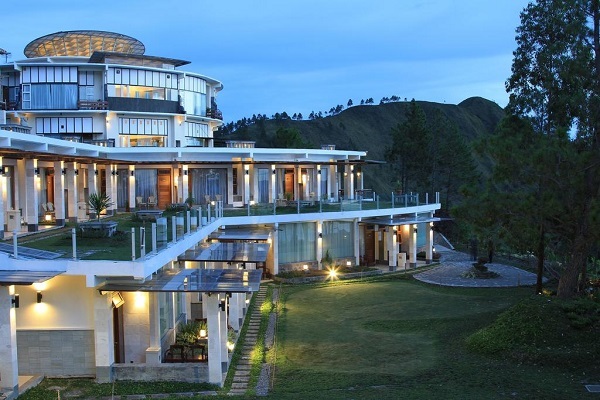 The hill also offers the sunset view with a panoramic background of Lake Toba. Rice fields and other plantations typical of highland horticulture such as corn and coffee dominate the panorama. 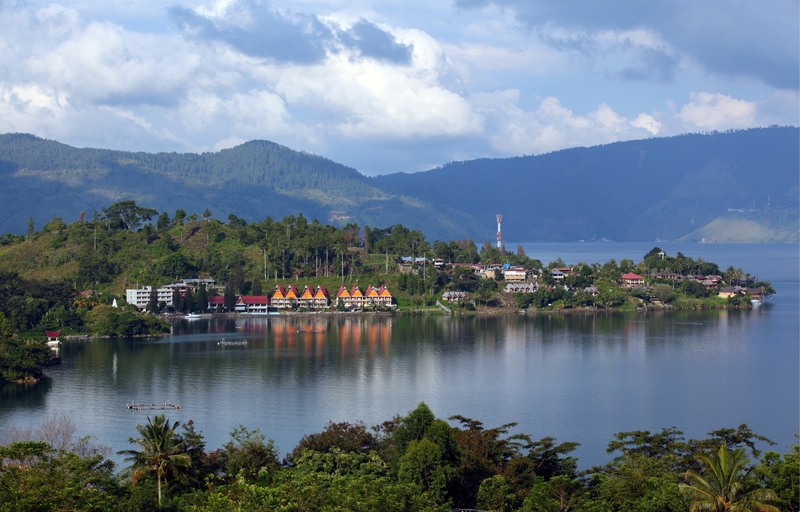 If you want to take pictures at this location, avoid the heat because there is evaporation of lake water that can make Samosir island to look foggy. Come in the morning for the best photography. You can get around the hill by car or motorbike within minutes. Do so as this is the opportunity to see everything in short time. There is no entrance fee in the area.